Gargi Sleeves are designed to provide effective feeding of metal by extending the solidification time of risers used on Steel, SG Iron, Grey Iron castings. Whereas exothermic sleeves are designed to initiate an exothermic reaction in the riser thus liberating heat, insulating sleeves provide an efficient thermal insulating layer thereby conserving the heat in the riser over an extended period. Vacuum moulded, their composition is carefully formulated from high grade insulating / exothermic materials, bonded with organic and inorganic binders to provide strong, durable sleeves resistant to pressures obtainable during ramming of sand in the foundries. GARGI INSULATING & EXOTHERMIC SLEEVES are recommended for use on riser diameters from 25 mm to 350 mm. GARGI SLEEVE BLINDERS are merely covers, which can be placed on open exothermic sleeves rendering them into blind sleeves. GARGI CONES are used along with Sleeves, which are placed under the sleeves. Size range available from 125mm to 300 mm. These are of matching dimensions such as the Outer Diameter and thickness of the Sleeves for which it is matched. The composition of the material is also the same as of the exothermic sleeves. All sizes are available to match open exothermic sleeves. If you are interested in a specific size for any of the above products, please do get in touch with us. In view of increase in demands made by the engineering, chemical and automotive industries, for better quality of castings involving various non-destructive tests i.e. radiography, ultrasonic, etc. Gargi has developed special sleeves for use in the manufacture of high integrity castings. These sleeves ensure a sustained exothermic reaction over a longer duration, thus ensuring the heat in the riser over an extended period. For consistent results please ensure that hot topping compound Gartop 717 is used along with these sleeves. 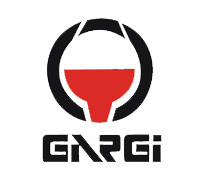 In its quest for continuous improvement of service to the customers, GARGI has developed a range of highly exothermic risers sleeves with a unique internal profile of equally placed vertical V shape. This profile results in extending solidification time of the sleeve risers by directing more heat to the centre of the risers. The final result, most interesting to the foundry man, is higher yield on the castings. Having determined the size of the riser on a casting, the next step is to decide the number of risers to be provided to ensure a good casting. The region of the casting, which can be fed by a single riser, is known as feeding area or feeding range. It is necessary to place a single riser within one feeding area. A second riser would not only be wasteful, but in certain circumstances, would even be even harmful.